We received four Hallmark ornaments to review. 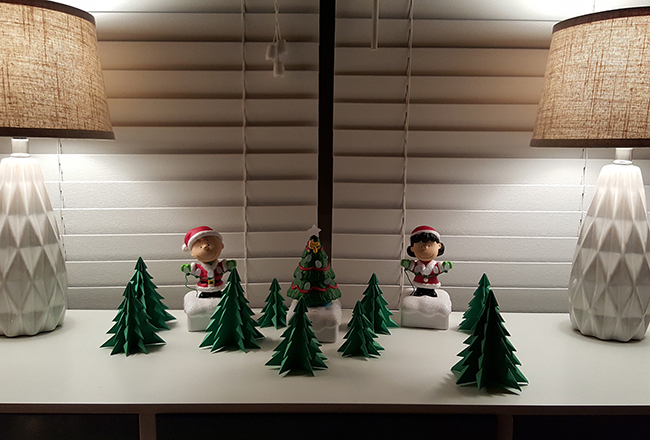 We were not compensated monetarily for this post, and we truly love Hallmark Keepsake ornaments and their Charlie Brown sets. All opinions are honest and our own. 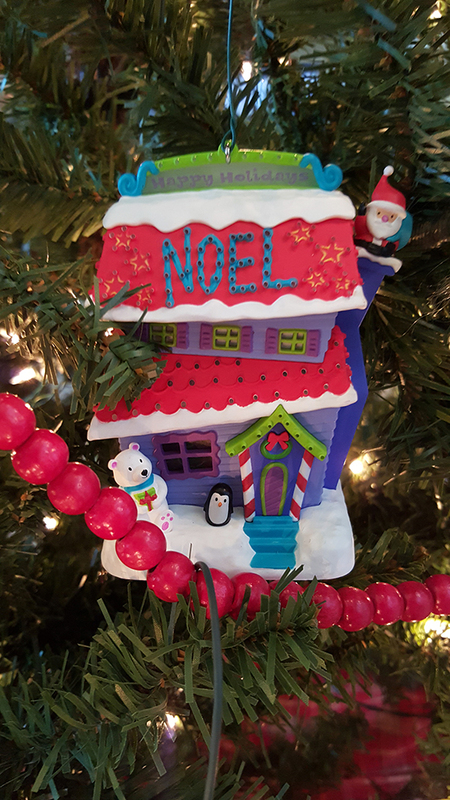 If you saw my Hallmark post from last year, you know we are huge Hallmark Keepsake ornament fans. Getting new Hallmark ornaments each year is a favorite tradition of our family and is one we always plan to incorporate into our Christmas festivities. Beyond the ornaments, Hallmark offers all sorts of other really fun Christmas decor. 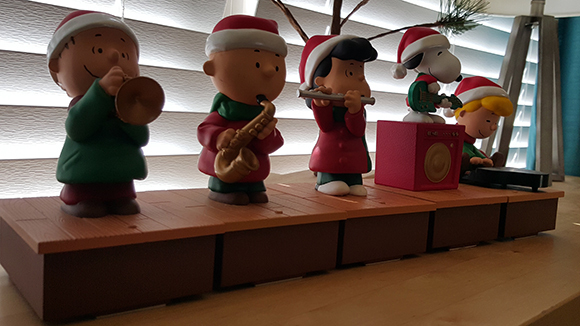 For instance, back in 2011 we got this set of Charlie Brown characters; they each play an instrument, and they interact with each other remotely to all play songs together. They’re so fun, and our kids adore them. 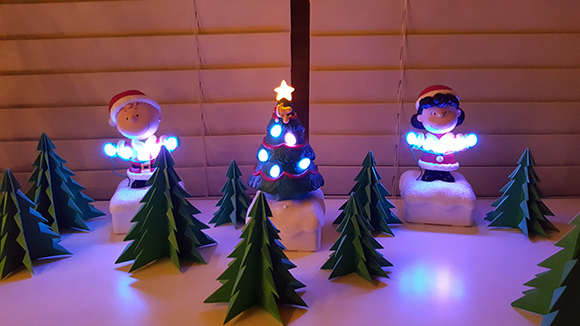 This year Hallmark has released the Charlie Brown Peanuts Gang Light Up Show. There are five, although not all of the characters have been released yet (we’re already planning to go this weekend and get Linus & Snoopy! ); this set not only plays music, but it has an interactive light show timed with the music and coordinated between each piece. It’s colorful, fun, and incredibly impressive. We’re so glad to have it as a part of our Christmas decor. Of course, I’ve also got to share which ornaments we picked this year! 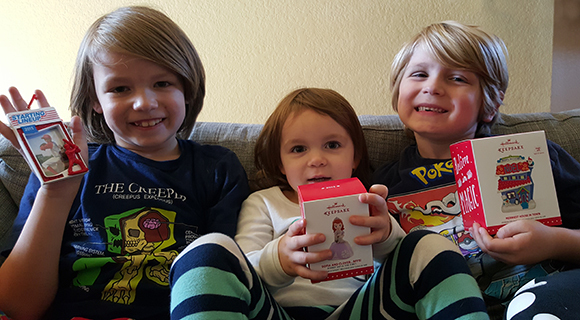 The kids loved looking through them all, and each one found an ornament that’s truly a perfect fit for their personality. 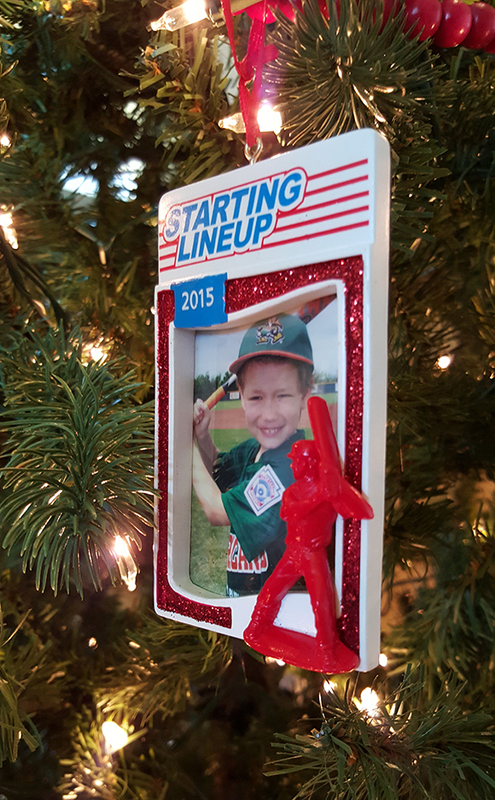 J picked a baseball card ornament. He loved playing baseball this spring, so it was a natural choice. We used his baseball pic in it and I know I’ll love looking back on that picture each year. C picked a colorful house that lights up! We have to go pick up the magic cord to go with it this weekend, and then we’ll get to see it in all its glory. But even without the lights it is pretty adorable. E’s choice was a no-brainer. 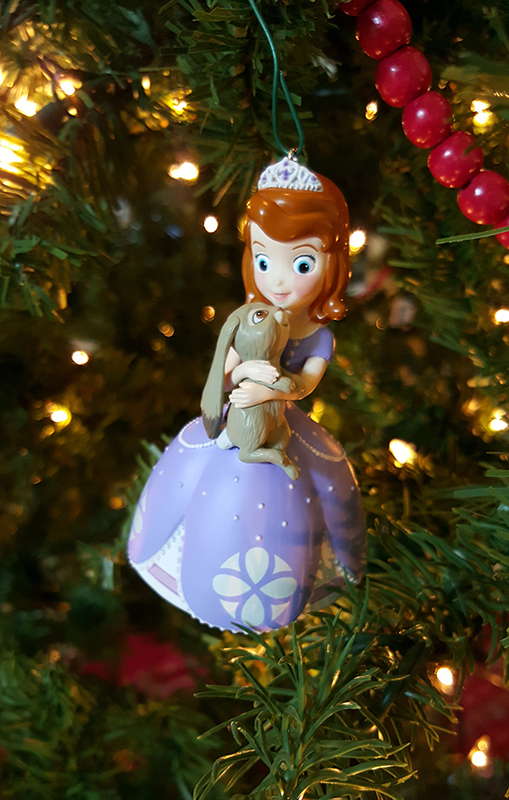 Once I saw a Sofia ornament, I knew immediately that’s what she’d go for! It even includes Clover, Sofia’s BFF (and who doesn’t love a Blue Ribbon Bunny?). Another no-brainer? Our ornament choice for this year. 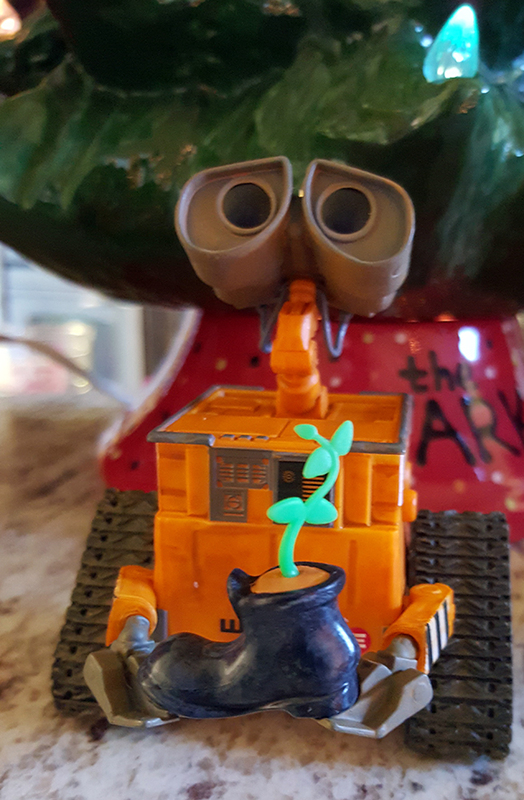 Brian has collected Wall-E items for years now, so we had to go for the Wall-E ornament; it even has sounds, making it even cuter. I’d encourage you to go check out your local Hallmark store this winter; you’ll find charming, fun Christmas decor that your whole family will love, and you might just start a tradition you’ll cherish for years to come. Melissa & Doug’s Terrific 25 Giveaway! Make Gifts Extra-Special With DIY Customized Ribbon!